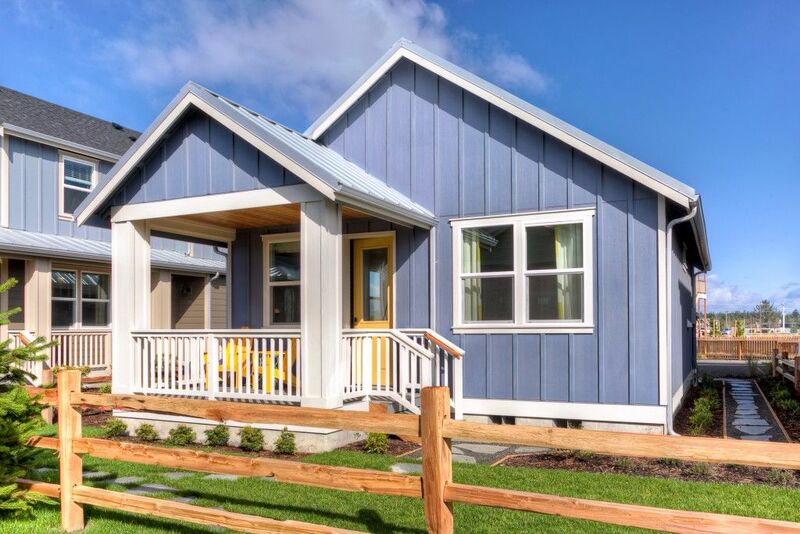 This little surf cottage is part of the new Oyhut Bay beach resort in Ocean Shores, Washington. As the village is constructed, new-build vacation cottages are being sold to use as vacation rentals or summer homes. 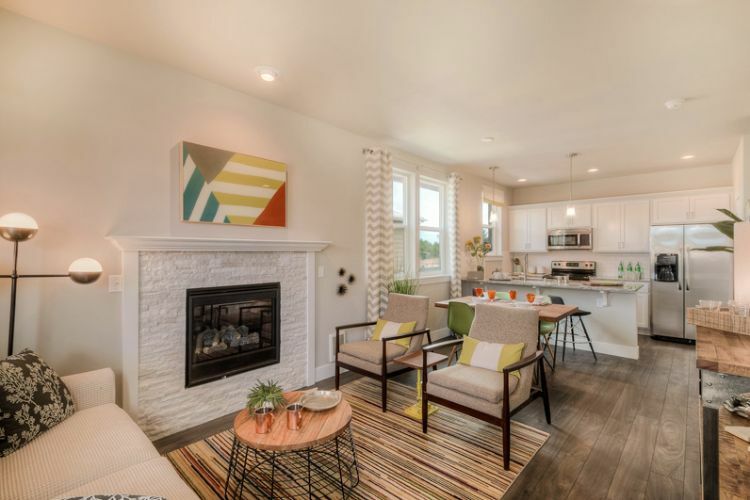 This one-bedroom plan is the smallest model offered, at just over 700 square feet. A covered front porch greets visitors as they enter through the adorable yellow front door. Inside, they'll find an open layout that includes the living room, dining space and gourmet kitchen. The interior design is sleek and stylish with a mixture of modern and vintage decor. Take a full tour of this little coastal retreat below. Those who do will be daydreaming about their own beach getaway before they're through! A dining space is created with a simple wood table and four playful green chairs. 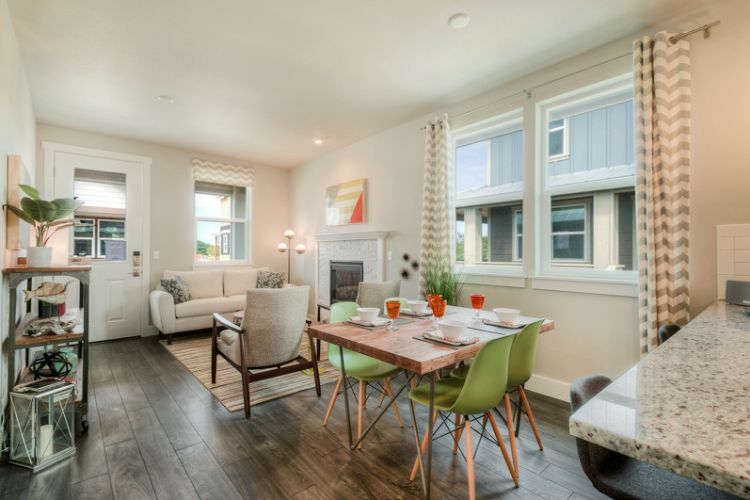 Bright windows let in natural light and views of the tree-lined community. 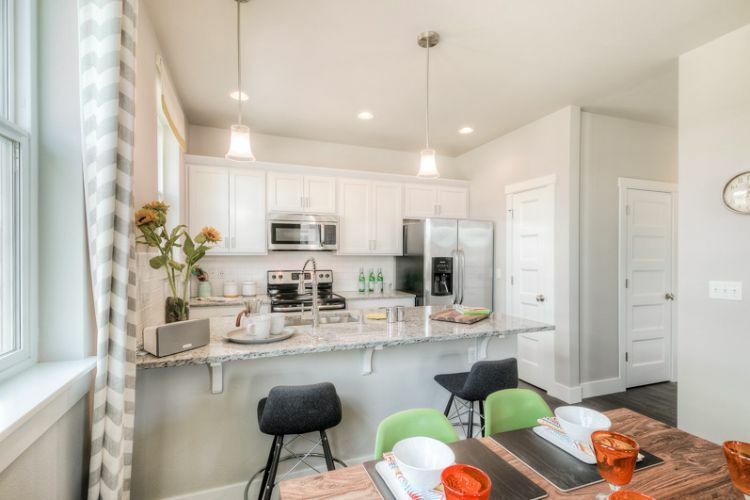 The kitchen is bright and cheerful with crisp white cabinets and light granite counter tops. The peninsula bar provides extra seating. 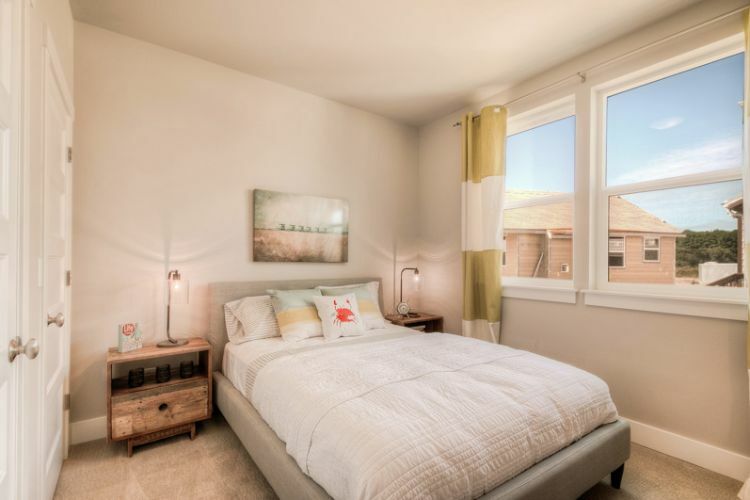 The bedroom features an upholstered platform bed and distressed wood nightstands. Striped textiles and a throw pillow embroidered with a sea crab bring in some fun nautical elements. 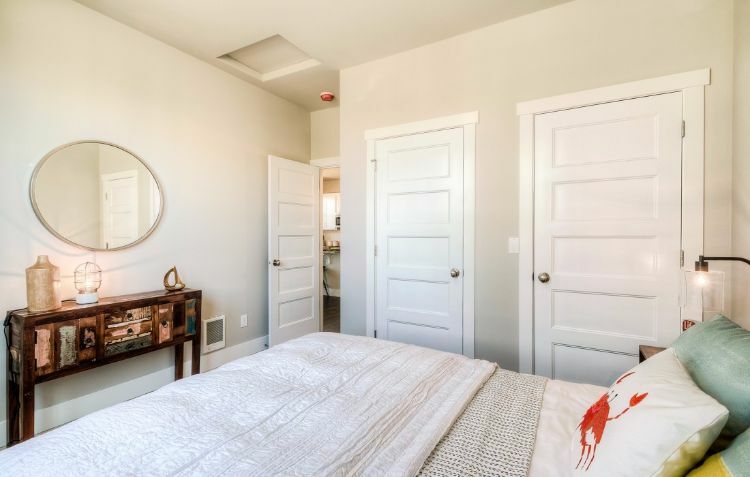 This view of the bedroom shows off the shaker-style five-panel doors adorned with thick trim. Finishing details like these add a touch of luxury. 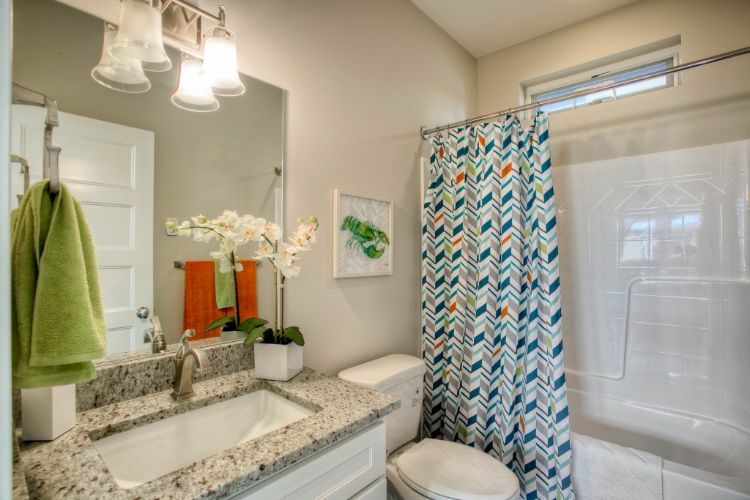 The bathroom is simple and clean with a white vanity and a granite counter top to match the kitchen. A colorful shower curtain and lobster artwork add a bit of whimsy.